Apologies for my tardiness. 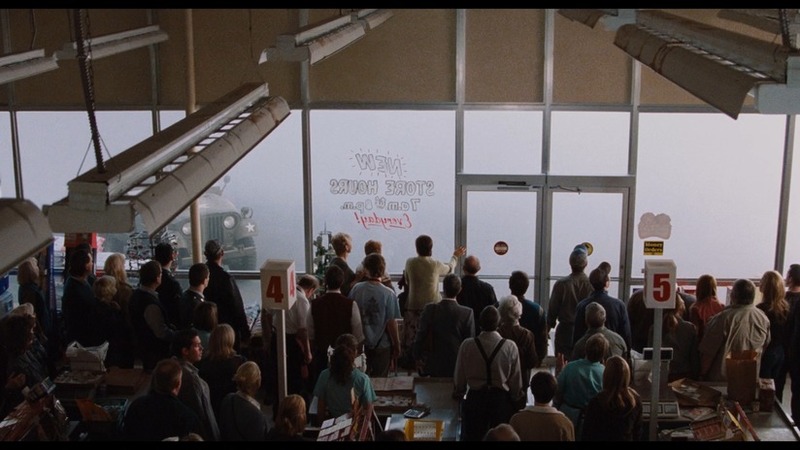 You see, it is over six years since The Mist drew in for the first time and it has taken that long for me to finally get around to viewing it. Oh the shame! You know how it is; you get sidetracked, caught up in the everyday grind and before you realize, they’re devising a ten-part series based on the film and you still haven’t gotten round to seeing what all the fuss was about. I’m not proud of my indiscretion, my only hope is that God forgives me and I don’t feel his wrath as prophecised by the bible-pounding fanatics who form one half of the divide. 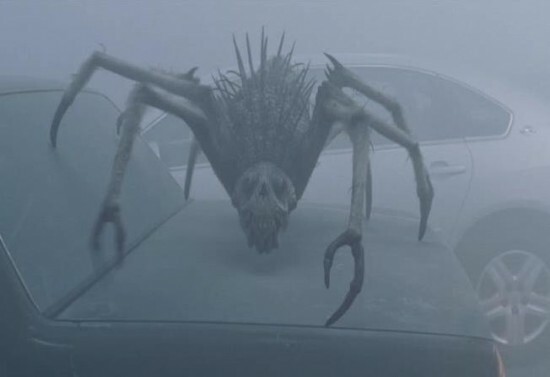 The Mist is one of the legendary Stephen King’s more modest length tales and had been on the cards for nearly fifteen years before finally making it to the silver screen. Directing duties fell in the lap of Frank Darabont who expressed an interest in adapting King’s fable at the same time as he took the helm of another of the master’s works, The Shawshank Redemption. It remained shelved while he tried his hand at translating The Green Mile and his desire resurfaced when Darabont decided to make something which was, in his words, a little more ‘muscular’. Thank heavens he did as it is one of the finest adaptations of the great man’s work yet to grace our screens. It tells the story of the inhabitants of Bridgton, Maine; a small town where everybody knows each other’s business. 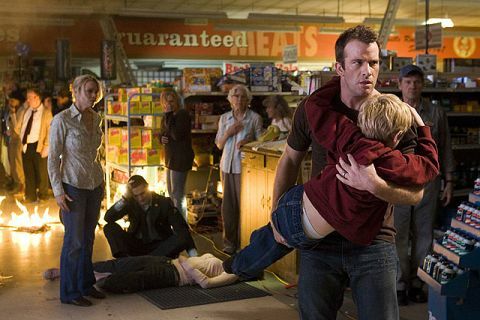 A number of them are holed up in a local supermarket while picking up supplies, after a thunderstorm the previous night took out the town’s power supply. We are provided with the version of events as witnessed by graphic artist David Drayton (Thomas Jane) who, along with eight year old son, becomes trapped within the building with all manner of religious nuts and doubting Thomases. 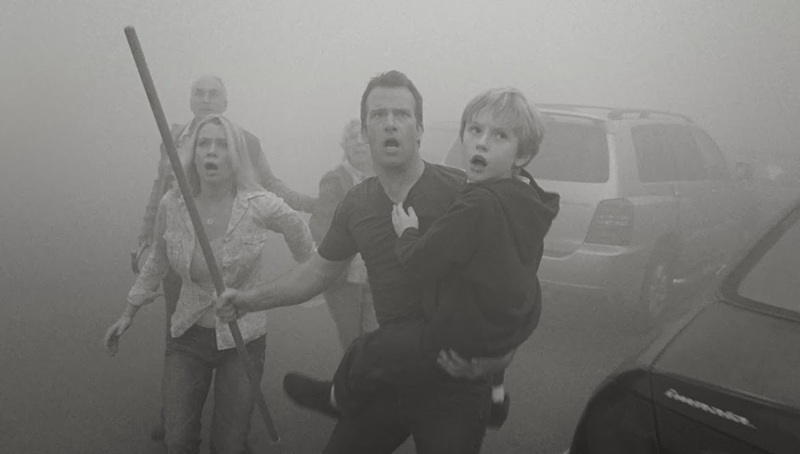 It’s little more than ten minutes in before the mist rolls in and when it does it becomes evident that something rather mean-spirited lurks within its vapors. A melange of different roach-like flying nasties and tentacled death-granters patrol the perimeter and it is left to the congregating townspeople to concoct a survival plan. All’s well and good you’re thinking and indeed it would be, had it not been for the fact that folk tend to go a little cuckoo in a crisis. Before we know it, the populace are forming into two key groups; decidedly left-wing rational thinkers and God-fearing extremists. 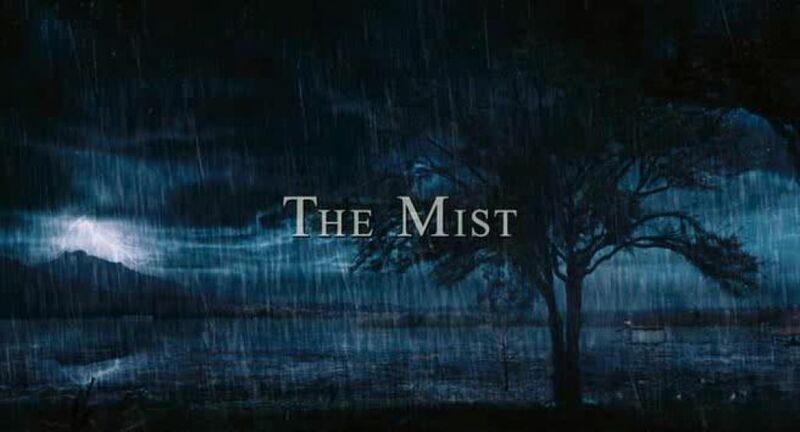 It is this dynamic which sets The Mist apart from countless other works of its ilk as it delves into our most primitive nature and shows what lengths ordinarily sane-minded individuals will go to when cataclysm occurs. It poses the question as to whether the winged beasts outside are as dangerous as the ones cooped up together in relative safety and, like George A Romero’s seminal Day of The Dead, leaves us pondering whether we even deserve a shot at making it. As a civilization, we act mighty uncivilized when push comes to shove and we all end up with blood on our hands. 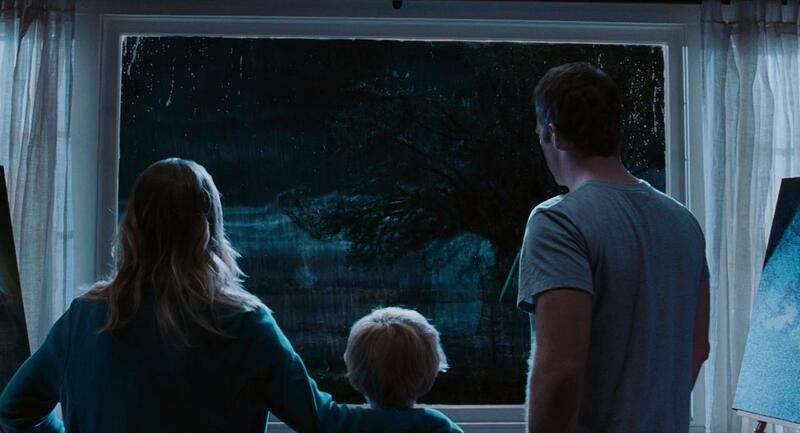 It’s a fascinating argument and one which Darabont’s film doesn’t shy away from. He also chooses restraint by not developing a potentially duplicitous relationship between Drayton and Amanda (Laurie Holden), choosing judiciously to keep their fidelity intact despite their partners not being present and feared dead. It isn’t long before we start to see who’s wheat and who’s chaff but, once more, Darabont has a trick up his sleeve. The elderly and weak-minded are given every right to be here and don’t simply act as shallow graves waiting to be dug. Likewise, major players are snuffed out without a second thought. This aids in fashioning the same level of confusion and panic in the addressee as it does the protagonists. 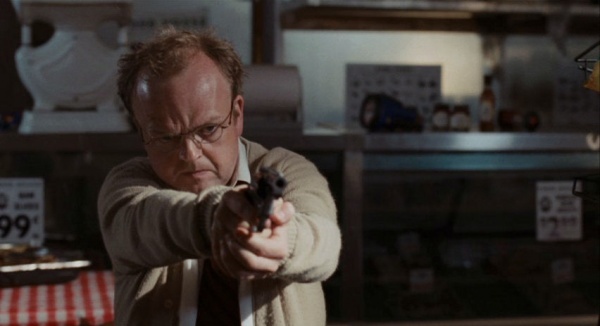 Mild mannered store assistant Ollie (Toby Jones) appears lightweight at first but before we know it he has become the voice of reason and Drayton’s most bankable ally. Jones is always a joy to watch and here, as crackshot and state champion gunslinger, he marvelously challenges our initial preconception. It isn’t long before self-proclaimed vessel of God Mrs. Carmody (a gloriously unhinged Marcia Gay Harden) has begun spouting her religious claptrap to an ever-growing audience of discombobulated townsfolk and, the more that her prophecies are realized, the more general consensus decides that she is exactly who she claims to be. The two factions bicker and ultimately violence breaks out inside the store, showing just how frail our human condition really is. By the final act even I was beginning to doubt the actions of our small band of unlikely and reluctant heroes as they decide to make a break for it and get help. Do they not learn? Each time a valiant attempt at escape is hatched the results are far less than encouraging. 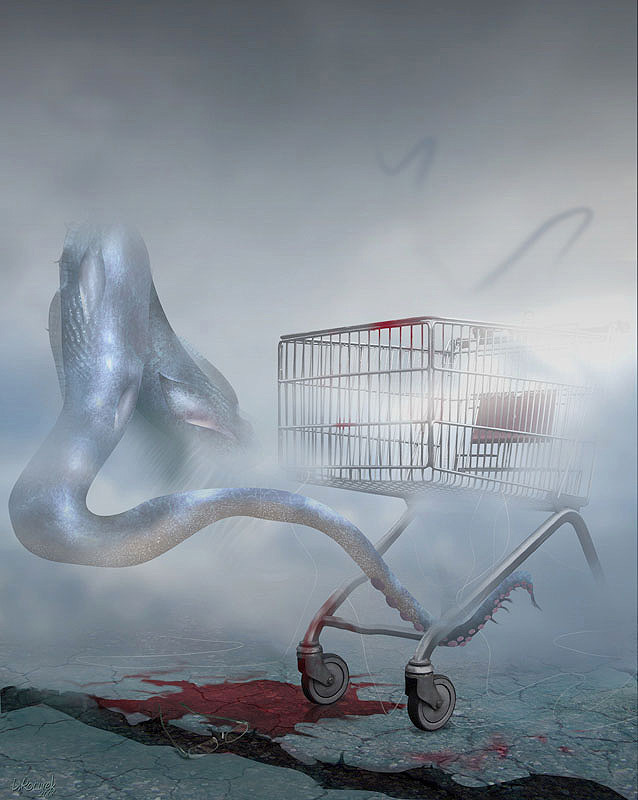 This culminates in a number of superbly staged assaults which afford us a closer ogle at the glorious creatures devised by FX royalty Greg Nicotero and Howard Berger. In addition there is some CGI but that comes courtesy of the visual effects team responsible for the masterful Pan’s Labyrinth and holds up well for the most part. When the blood starts a spilling it does so swiftly and mercilessly as carcasses are torn asunder and flung about like rag dolls. Even more effectively we are left with haunting images of folk receding into the mist never to be seen again. I knew long ago of the film’s ending and this may have been the reason why it has taken so long to finally take this journey. 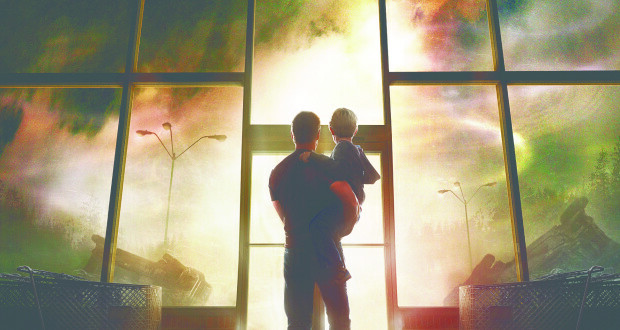 There will be no spoilers here but I will say this – Stephen King was most pleased with Darabont’s treatment, particularly the finale and it is totally unexpected, leaving the grey matter percolating long after the credits have ultimately scrolled out. Kudos for giving horror aficionados the kind of send off we crave from time to time but are rarely afforded as it is deemed unsafe. 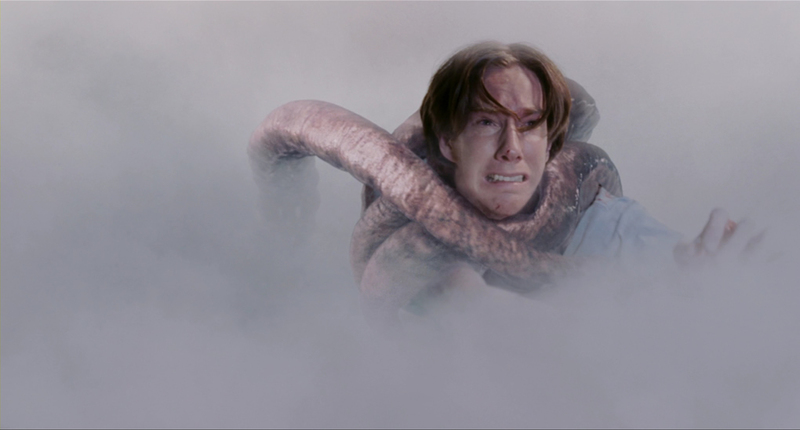 The Mist grabs you with all tendrils early on and doesn’t relinquish its grip until the bitter end. Moreover, it provides us with a bleak portrayal of mankind’s refusal to preserve itself and is effortlessly one of the finest King translations yet taken to screen. I’m sure that King would concur when I state that if you want a job done right…then you ask Frank Darabont. For the Grue-Guzzlers: The dispatches are suitably grisly with bodies torn in half, faces peeled, appendages removed and arachnids bursting from every orifice. Hell, even the gossamer is deadly. The always dependable combo of Nicotero and Berger is the ultimate seal of quality and, once again, they outdo themselves.